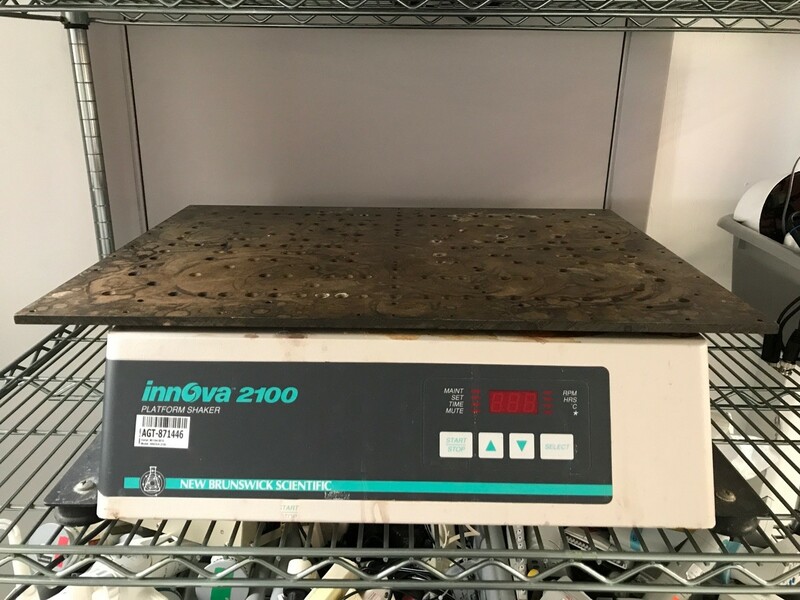 The VWR Rocking Platform 200 Shaker is designed to produce the precise level of agitation that blotted membranes and gels require. 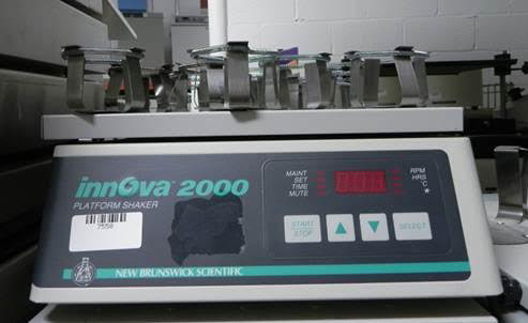 Wide variable speed range and adjustable rocking motion ±20° for a gentle "wave" effect that lifts and washes over gels and blotted membranes. For use where gentle, low foaming agitation and uniform mixing of lab samples are required. Applications include immunoassays, hybridizations, mixing blood samples, coupling affinity chromatography media and DNA extractions. 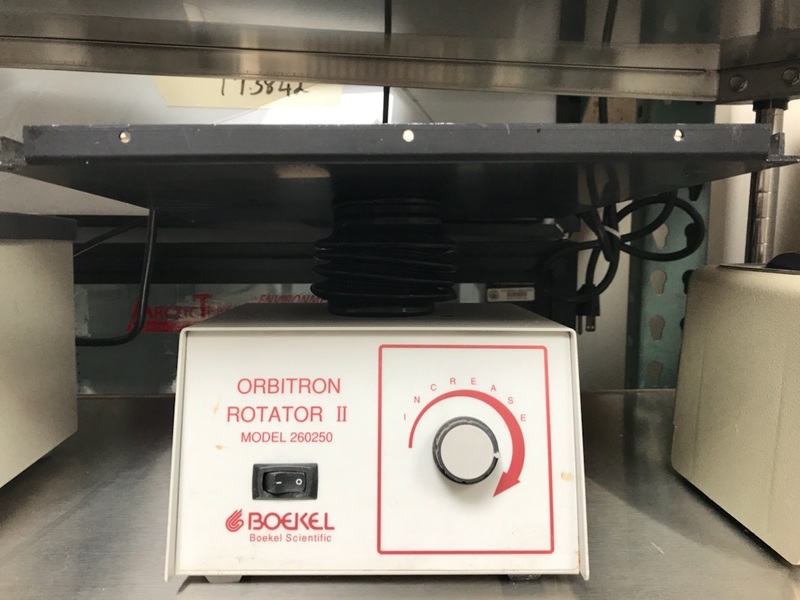 The Boekel Ocelot Rotator Model 260300F is an orbital shaker variable speed rotator. 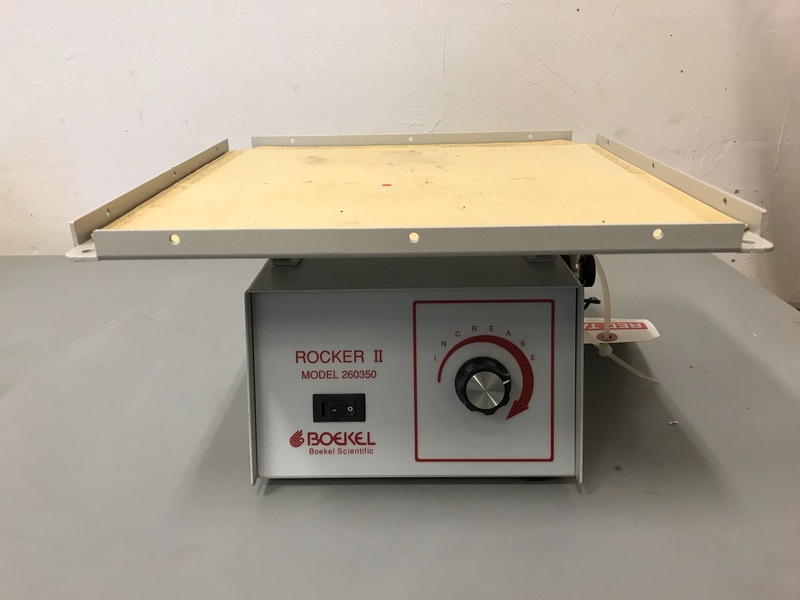 Platform Size: 16" x 12"
Dimensions: 16" x 13" x 6"
The BenchBlotter is an economical "workhorse" rocker, designed for common molecular lab applications such as blotting, staining/destaining, etc. There are no complicated controls, no settings or adjustments to be made; just press the power switch and start rocking. 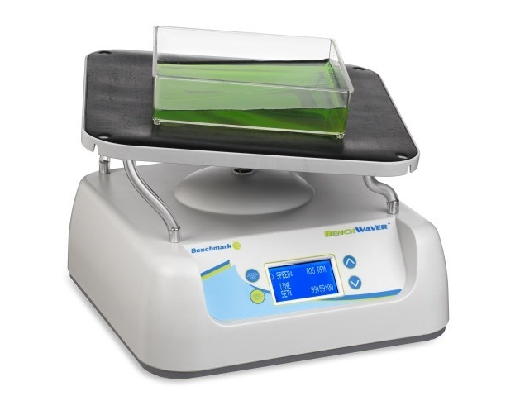 Platform Size: 12" x 12"
Dimensions: 13.5" x 12" x 4.7"
The BenchRocker™ 3D rocker is designed to provide the precise speeds and tilt angles required for a broad range of molecular and biological mixing applications. The user can adjust both parameters to match the vessel size and the volume of liquid being mixed, yielding optimum results. The rocking speed and tilt angle are both easily adjustable in seconds. 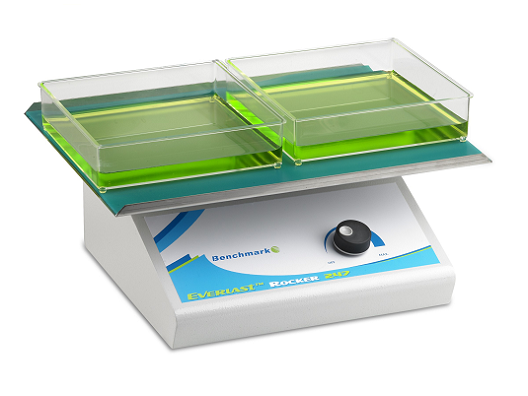 At low speeds and minimal tilt angles, the 3D (for "gyratory" motion) provides a gentle wave effect for non-foaming mixing, as is required for most blot washing and gel work. When set to higher speeds and more extreme tilt angles, they produce aggressive agitation for vigorous sample mixing. 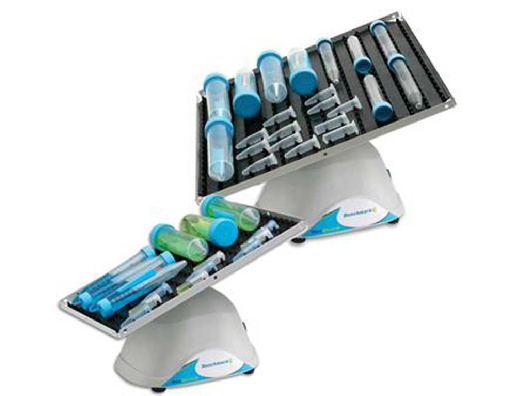 The BenchRocker™ 3D can accept stackable platforms (clearance = 2.75 in.). All platform mats are autoclavable. The BenchRocker™ 3D has maintenance free brushless motors and is safe for use in cold rooms and incubators. 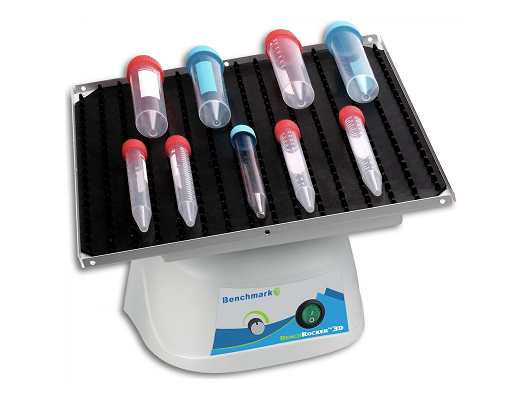 The BenchRocker 2D is designed to provide the precise speeds and tilt angles required for a broad range of molecular and biological mixing applications. The user can adjust both parameters to match the vessel size and the volume of liquid being mixed, yielding optimum results. 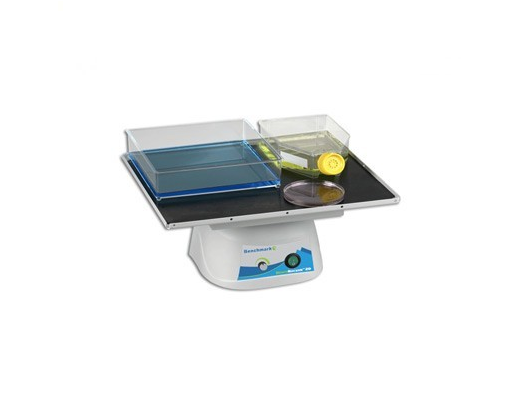 Platform Size: 14" x 12"
Dimensions: 14" x 12" x 8"
BenchWaver 3D Rocker is ideal for staining, washing & general mixing. Features a large 13 inch platform, adjustable speed and tilt angle, and undulating 3-dimensional motion. 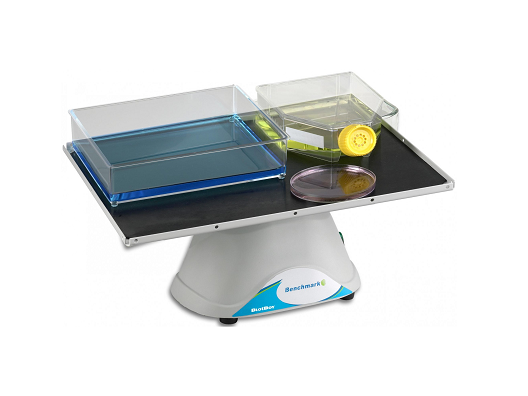 Platform Dimensions: 13.5 x 13"
The MiniMixer™ and BioMixer™ can handle loads up to 2kg. Both have maintenance free brushless motors and are safe for use in cold rooms and incubators. These platform shakers provide a 3-dimensional "nutating" motion for moderately aggressive mixing. Two platform sizes and two rubber mat configurations allow for thorough, foam-free mixing in blood tubes and centrifuge tubes, as well as in a variety of flat vessels. Both models come standard with autoclavable dimpled mats for tubes. Optional flat mats are available for mixing other vessel types. Stacking platforms are also available, effectively doubling the usable surface area of each model. Even the smallest single platform configuration has 24% more platform work surface than traditional nutating mixers. Product Dimensions: 10.5 x 7.5 x 8 in. The Mini BlotBoy and BlotBoy can accept stackable platforms and handle loads up to 2kg. Both have maintenance free brushless motors and are safe for use in cold rooms and incubators. Modeled after our popular BioMixer series of "nutating" shakers, these platform rockers provide the perfect 3-dimensional motion for all blot related applications. 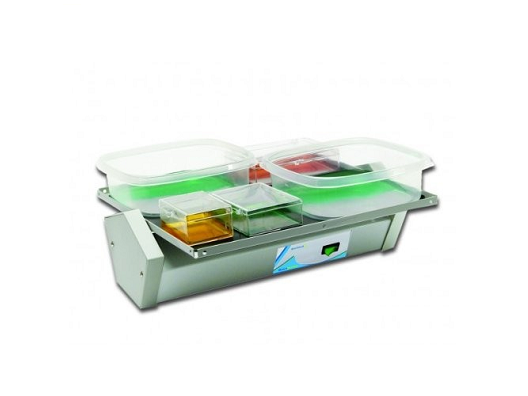 Their tilt angle and speed have been optimally set for gentle, but thorough mixing in gel trays, boxes and other flat vessels. Mini BlotBoy and BlotBoy come standard with autoclavable flat mats and are ideal for blot washes and gel staining/destaining. Both models have been designed to conserve bench space. The Mini BlotBoy is supplied with a 10.5 x 7.5 inch platform while the larger BlotBoy's 12 x 12 inch platform expands the useable work surface by 80%. Load Capacity: 1.6 kg / 3.5 lbs. Dimensions (W x D x H): 12 x 12 x 8.3 in. © 2019 Cambridge Scientific Corp.